I used several new goodies from Simon Says. I made the background with the Falling Hearts stencil and some Fired Brick Tim Holtz Distress ink. Then I added on a a focal point using 3 different dies. The main heart is from Hears and Spoons. The "LOVE" is from Heart in a Box and the "you" is from the Small Love You die. I added in some saddle stitch ribbon in the background and some liquid enamel for a couple of small dots on the heart. Now its your turn! This is a fun layered sketch with so many possibilities. You can see the original to this sketch by clicking HERE. 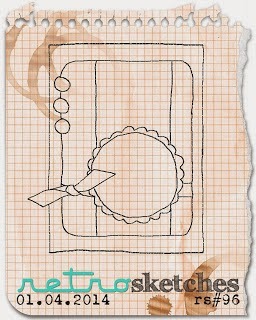 Stop over to the Retro Sketches blog to see what the other girls have created this week and link up your own card! Gorgeous Laurie, Happy New Year! Love this, Laurie! So pretty! Hi Laurie, I've been on a blogging break and now I'm trying to catch up with some commenting. This card is as sweet as can be!!! Love the graduated heart background. Dalring card Laurie, love the little sweethearts!! Adorable card, love all the little hearts. I also like how you used the ribbon to keep the card flat. Very cute card, I love all the little background hearts. 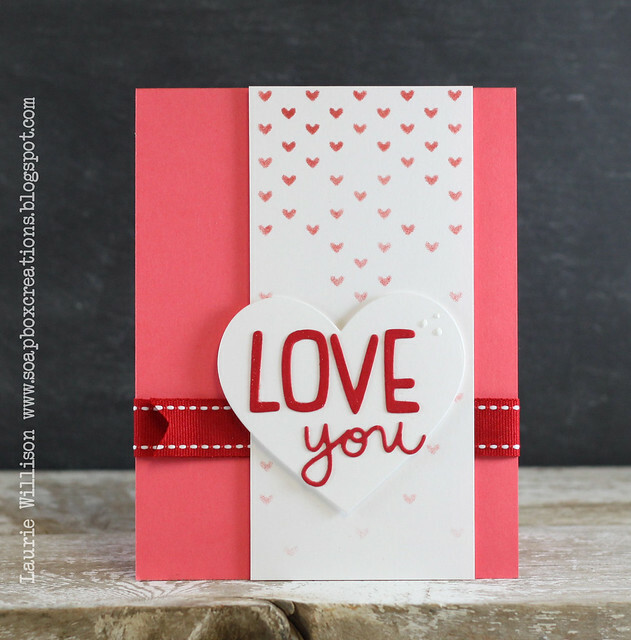 Your card just oozes love. Sweetness deluxe! So glad to be inspired by you all! A Raskog and a card.